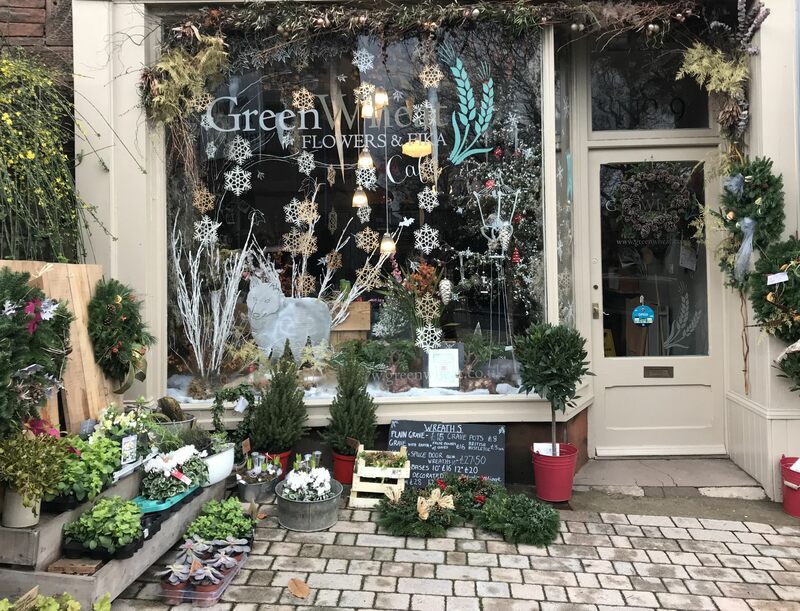 Welcome to Greenwheat a creative flower shop with Fika, which is Swedish for ‘a cup of coffee and something delicious’. Hello! 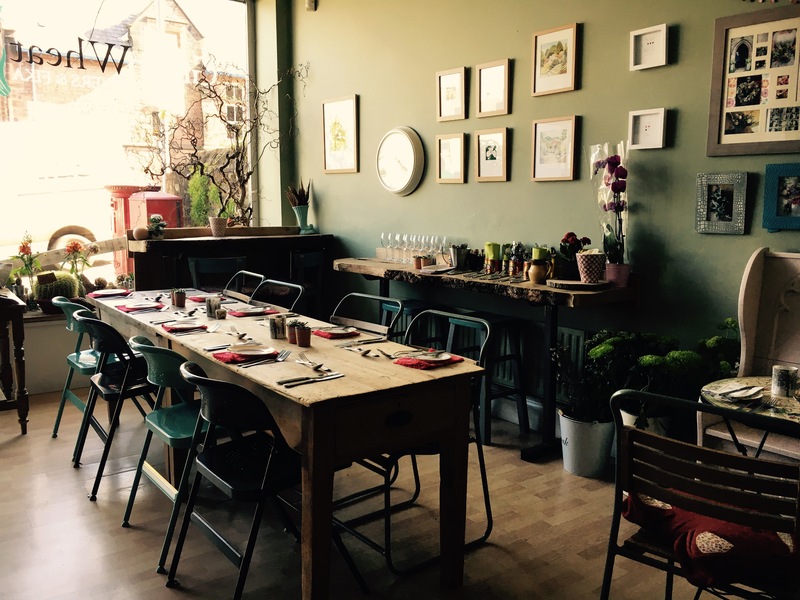 My name is Laura Tuer, I do the flowers and together with my chef husband Lee, who creates the yummy cakes and baguettes also known as the Fika. We’ve joined forces for our flower shop in Penrith, Cumbria on the outskirts of the English Lake District. I have been a fully qualified florist since 2004 and my style has evolved and developed. 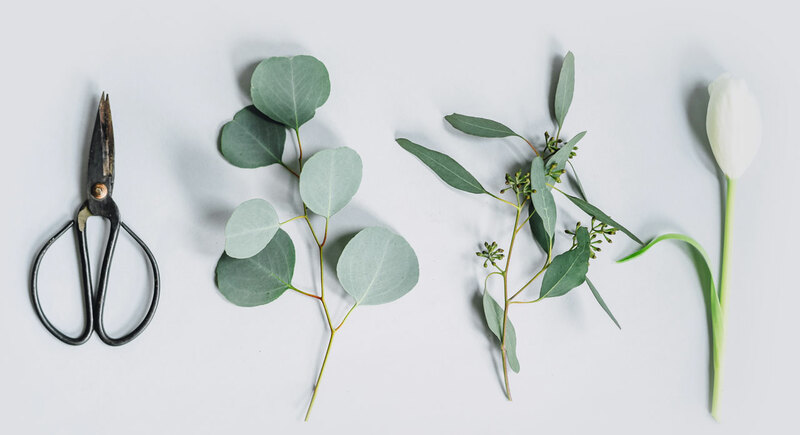 I enjoy making the most of what’s available, using fresh foliages from the Cumbrian countryside and top quality fresh flowers from my suppliers. I can provide floral arrangements for all events including weddings, funerals and christenings and I’m also available for demonstrations, classes and tuition. We decided we wanted to open a florist’s shop with a difference, which is where the word Fika comes in. Fika is Swedish for ‘a social cup of coffee and eating something delicious’. So now we have a relaxed cafe area in the shop for my chef husband Lee’s healthy homemade and locally sourced light lunches to eat in or take away, along with Farrer’s and guest coffees. We specialise in vegetarian and special diets including low gluten. We don’t just create beautiful floral arrangements for your wedding or event. We also have a shop full of homely items. Perfectly placed to take away, or to give as a gift to someone. 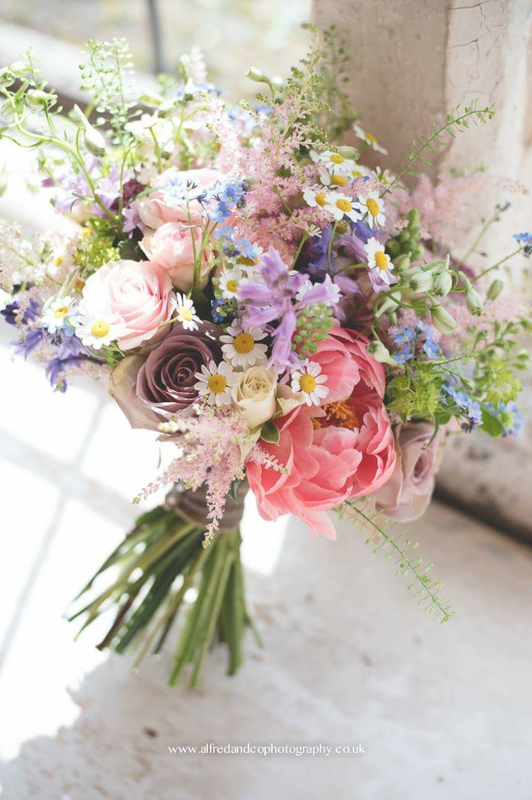 Our florists’ shop specialises in creating beautiful flowers for weddings, parties and special occasions in the Lake District and I’m happy to discuss your requirements with you. You can either call into our flower shop for a coffee and book your consultation, call us during our opening hours or send me an email. Our opening hours are Monday to Friday 9 am to 3 pm, Saturdays 10 am to 2.30pm and closed on Sundays. You can also find us on social media through our Instagram and Facebook pages where there’s lots of photos and inspiration for you. 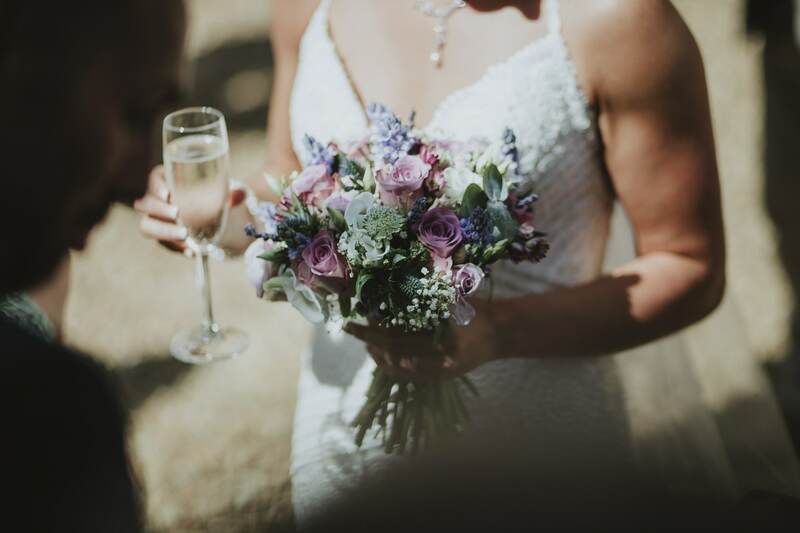 From vintage to contemporary to traditional weddings, I work to your specific requirements and can provide as much or as little as you need for your big day. Our flower shop is full of quirky & creative ideas for your household or business. Alongside the more traditional Floristry items. Why not come in and have a look. 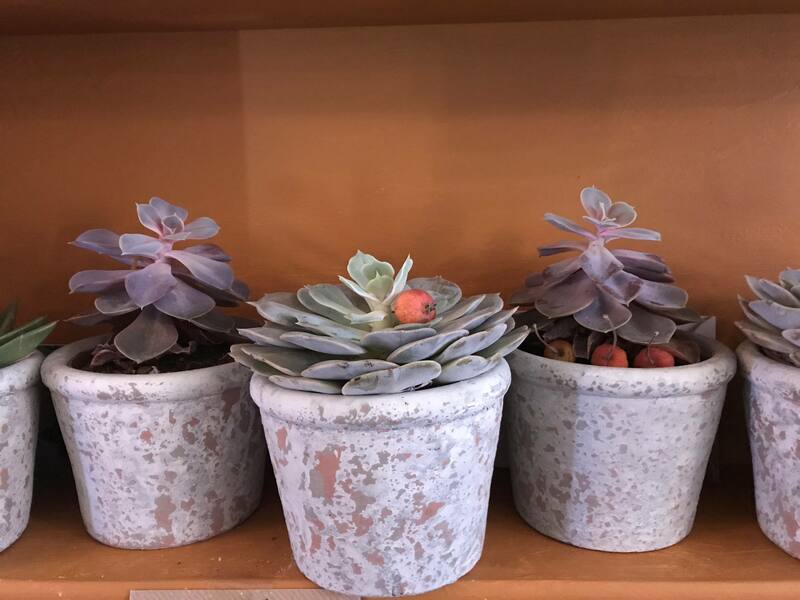 At our flower shop, you can take away beautifully fresh flowers and small plants. Perfect for your house or office. 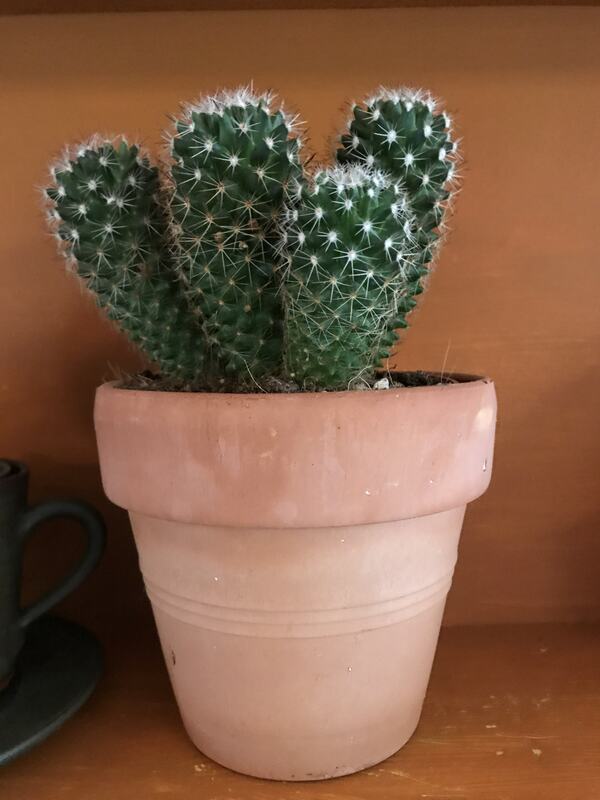 Our shop is full of quirky items for sale to enhance your space. Our stock changes reguarlly so come on in to see the latest stock. 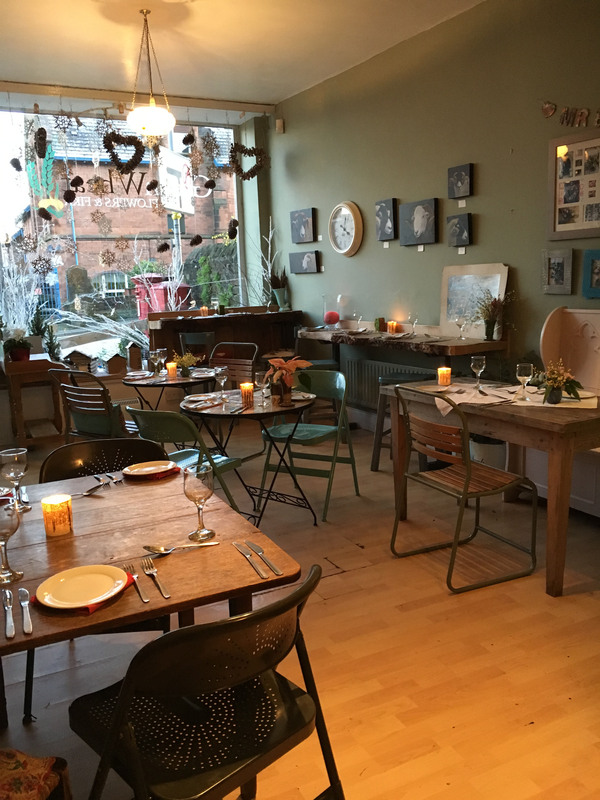 Our pop up restaurant nights are proving to be very popular and booking is essential! You can even bring your own alcohol. Please phone the shop or call in to see when our next nights will be and what’s on the menu. If you would like to contact us, then please do with the form below or by the information provided. As always, feeel free to pop into the shop for a chat, cake & coffee.